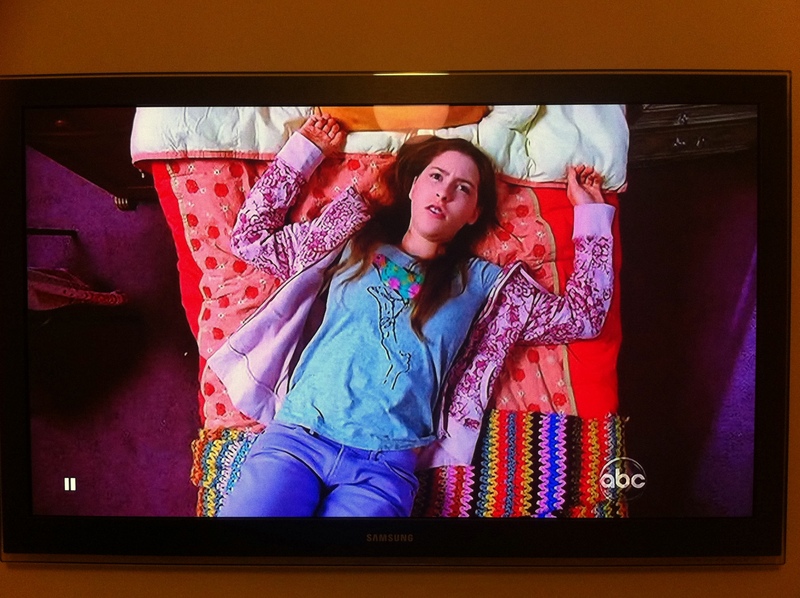 A few weeks ago in The Middle Season 3, episode 12 I fell in love with yet another crochet afghan. This show really is a treasure trove of crochet blankets! I love the zigzag, retro, colourful look of the blanket on Sue’s bed. I’ve been searching high and low for something even remotely close to this zig zag pattern and today I found it in Robyn Chachula’s Crochet Visual Encyclopedia. I paged through the book in my local Waterstones during my lunch break. When I saw it, I almost screamed out loud – on the inside I was punching the air. 🙂 I had a feeling that a stitch dictionary / encyclopedia would contain the stitch and it did! I then, very sneakily, tried to take a picture of the page so that I could post it on the blog for you. I returned ran back to the office, eager to download the photo from my camera phone only to find it wasn’t there! Covert operations are obviously not my forte…. But fear not ye hookers, the Gods of Crochet were on my side: a quick Google search produced the exact pattern, and more! 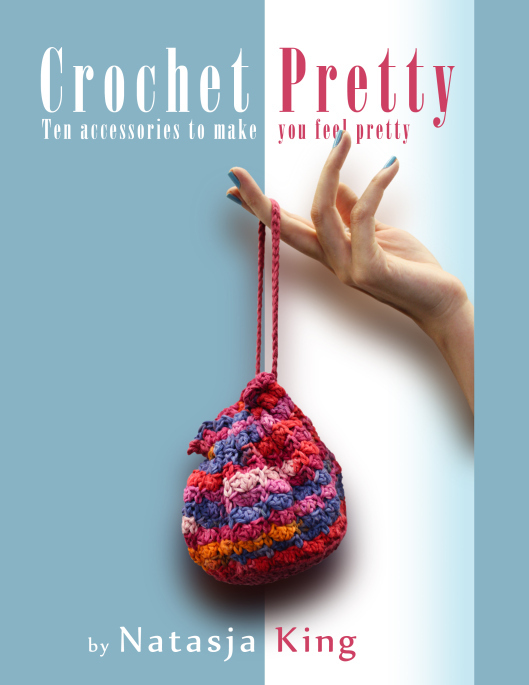 This link takes you to the US Amazon page for the Crochet Stitches Visual Encyclopedia. The bonus is that at the bottom of the page, there are sample patterns for you to try, and it includes “Malawi” which I think is the closest match to Sue’s blanket!!! How cool is that!? I’m also going to update my post of 22 December to include a link to the “Double Crochet Track Seam” and “Chain Space Seam” sample patterns, as more ways to join the grannies like in the Dooms Day Killer’s victim’s blanket. 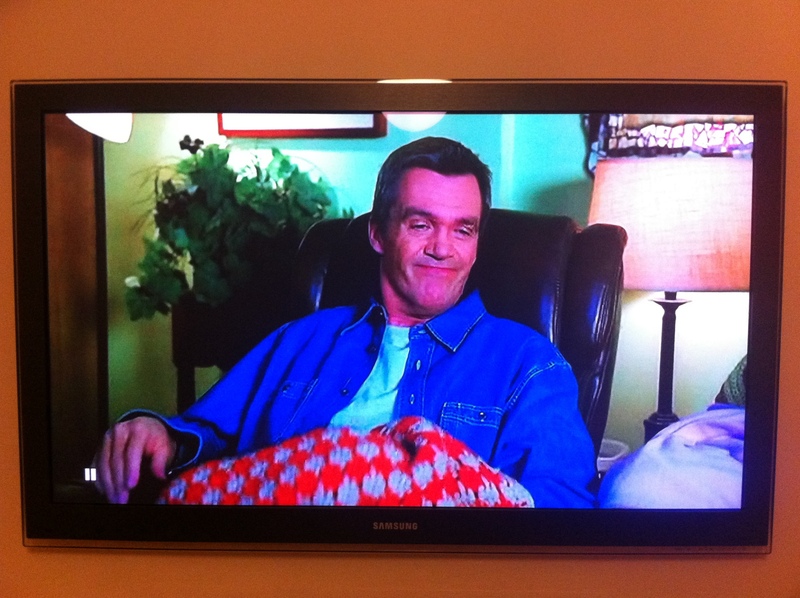 In the same episode of The Middle, Mike is sitting under a grey and red crochet afghan. Unfortunately I haven’t been able to locate the stitch used in this one. In my defence, the blanket doesn’t appear for very long so I can’t get a very good look at it. If however you think you know what pattern they used, please let me know! 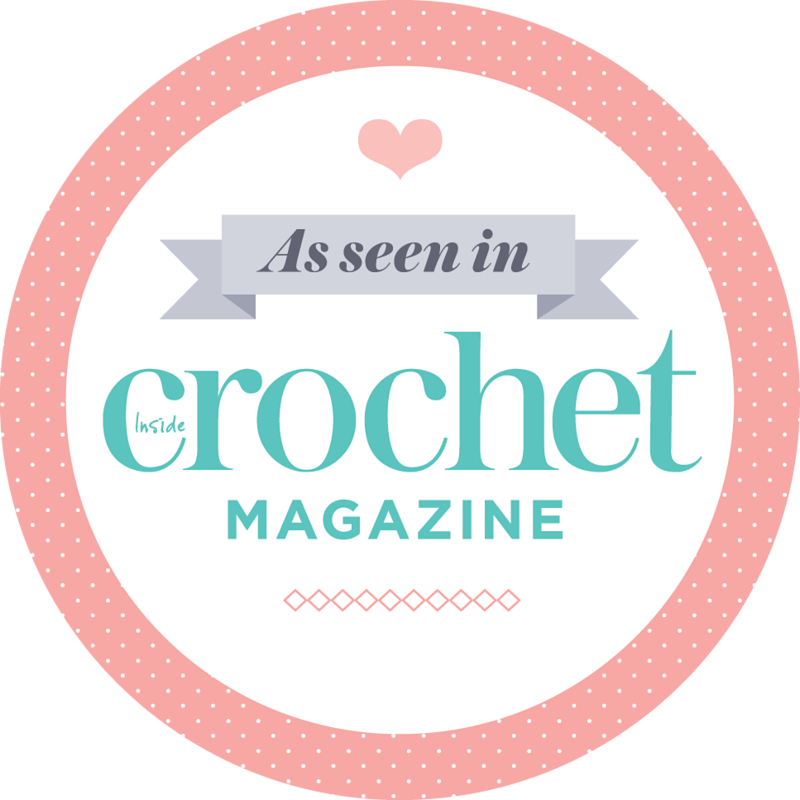 I think I’ll have to invest in the Crochet Stitches Visual Encyclopedia in the very near future (it really is a brilliant book!). Covert phone operations and Google searches won’t snip the mustard yarn* for much longer….